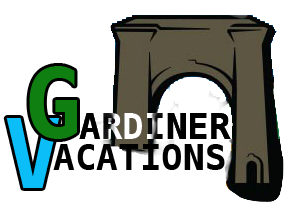 Gardiner has your local necessities and gear for your adventure and not to mention more souvenirs than you can shake a stick at. Gardiner’s largest clothing, gift and candy store - We’ve got it all for you! From over 500 types of candy, huckleberry, espresso, coffee and ice cream to unique quality gifts. We carry: Mill Creek sculptures, Big Sky Carvers, Montana Silversmiths, other jewelry, blankets, books, art prints, binoculars, spotting scopes, gifts galore, cups and mugs, postcards, souvenirs, kids toys and stuffed animals, huge Christmas store, metal art, knives, camping and fishing items, taxidermy animal mounts and too much more to list! The Gardiner Market is the source for groceries and liquor in Gardiner. The market is a locally owned hybrid store that offers everything a traditional grocery store does, plus gluten-free, organic, and local selections. They carry fresh meat and produce, baked goods, ready-made sandwiches and salads, beer, wine, and liquor, as well as hiking and camping supplies including bear spray, tents, airbeds, and lanterns.